Yesterday, the Dig-It! Games™ team attended (and proudly sponsored!) 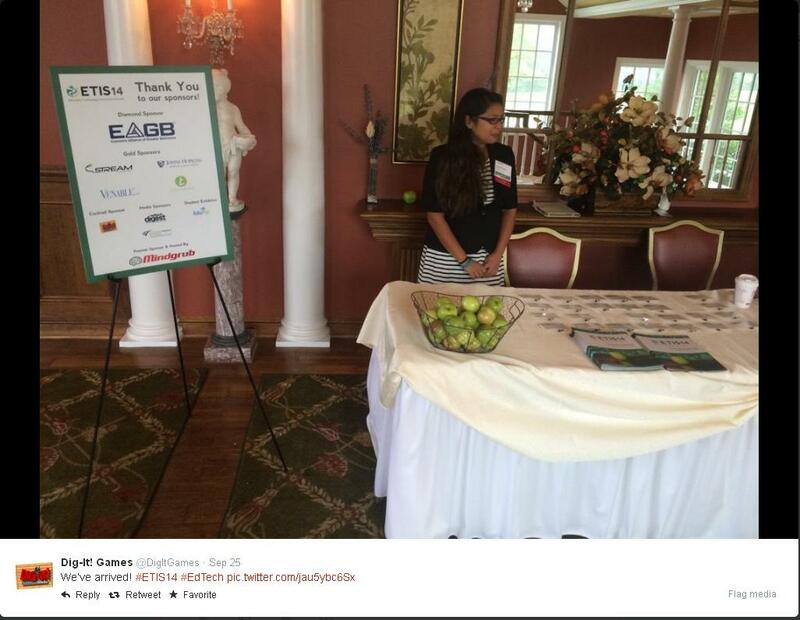 the 2014 Education Technology Innovation Summit in Baltimore, MD. It was a day of panels, and speakers, and learning—with some wonderful educators and edtech leaders. 1. Online courses are quickly growing in popularity as a way to learn. 2. One of the best ways to engage students in content is through a mobile device like a tablet or smartphone. 3. Blended learning stems from a desire to personalize instruction and to give students access to information. 4. Teachers are innovative—(wait, we knew that! )—and they’re looking to collaborate. 5. Nothing beats seeing the Dig-It! Games logo as a “Hello, and Welcome!” moment. The time has come. Students will trickle into classrooms, enthused for the start of a new school year. Their teachers will greet them with a smile and the learning will begin. Behind the scenes of every great lesson is the hours of planning that a teacher has put into understanding the content, determining what activities will interest his/her students, and carefully planning out the timing to keep students continually engaged. 1) Use our games as review. It’s the start of the school year. You’re thinking about all the material that has to make its way into students’ heads, building on what they already know, to lead them to grade-level mastery of the curriculum by the end of 180 school days. You know that summer often leads to brain drain for kids—that what they knew at the end of last year may not be as solid now. Let students explore their knowledge using Dig-It! Games™. They can practice specific, Common Core-aligned math skills using the Loot Pursuit™ series; review reading comprehension and strengthen their problem-solving skills with the award-winning Mayan Mysteries™; solve the puzzle within Can U Dig It!™; or transfer what they know of our own number system to the Maya number system through Maya Numbers™. Build up your students for the rigor of the next school year and help them review what they know through interactive, engaging games. You’ll save time and they’ll love getting the chance to play. 2) Check out our Teacher Management System. The classroom edition of the top-rated Mayan Mysteries™ includes one-year licenses for up to 30 students. Our Teacher Management System (TMS) provides you with the powerful tool to track students’ progress and performance within the game. Whether students are playing at school or at home through online access, you can follow individual and class progress on standards-based assessments targeted for each grade level. 3) Plan your units ahead of time to engage kids. Whether you’re focused on informational literacy or teaching a social studies curriculum, incorporating games like Mayan Mysteries™ or Maya Quiz™ within the unit will give your students the opportunity to show what they know. Because games engage students of all learning styles, including games in your unit plans and lessons will not only endear you to your class, but will also allow students to reach their academic potential. Students will learn new information, practice and strengthen skills, and assess what they’ve learned. If you want to keep track, try our classroom edition. If not, download single-user games onto iPads. Make it work for your classroom, and your kids. 4) Try before you buy. Don’t waste your budget on a game your students won’t use. Many of our games are free to download, with in-app purchasing available. This gives you the opportunity to cut down on cost. Give your students the chance to play Mayan Mysteries™ and see how much they love game-based learning before purchasing it and the new complementary app, Maya Quiz™. If you’re interested in math review, the first game in the Loot Pursuit™ series—Tulum—is available to download for free; then you have the opportunity to purchase the recently-released Loot Pursuit: Pompeii™ for even further skills-building. Both MayaNumbers™ and Can U Dig It!™ are available to download at no cost so you can see how high-quality and engaging our games are. Games have been proven to engage students and increase motivation. They’ve shown promise in closing the gap for struggling students. But most importantly, kids like games. They like having the opportunity to play. Yes, they are learning; but they’re having such a great time playing that the educational aspect is a bonus. Turn your students into life-long learners by blending education and fun. 1. Got a few minutes to spare? Choose to learn. You could play a round of Candy Crush and mindlessly swipe to match three candies…or you could play a round of Maya Quiz™ and engage with 100% authentic, accurate content. Stretch your brain! Each round of play in Maya Quiz™ gives you ten questions within five categories: Math & Time, Daily Life, Religion & Government, Central American Geography, and History. See how much you can learn in just a few minutes. 2. Don’t worry—you’re not in this alone. In the classroom setting, assessments are often taken in a sit-down, time-restricted environment in which students individually answer questions to test their mastery of a subject. Maya Quiz™ is untimed, allowing for discussion with friends or researching the answer on your smartphone. It’s okay not to know the answer right away. The goal of the game is not only to see how much you know, but also how much you can learn—in a way many prefer to learn. 3. It’s not just for kids! Consider yourself an erudite Maya expert? Show how much you know by testing your knowledge of Maya history and culture with Maya Quiz™. Doesn’t matter if you are a sixth-grader who finished a Maya unit in social studies, a college student studying archaeology, or a trivia-lover who just wants to play—Maya Quiz™ offers more than 100 randomized questions to check your understanding of the Maya. Make it a family bonding experience by playing and collaborating together to determine answers or compete to reach the highest score and prove your expertise. Dirt? Digs? Discovering artifacts? 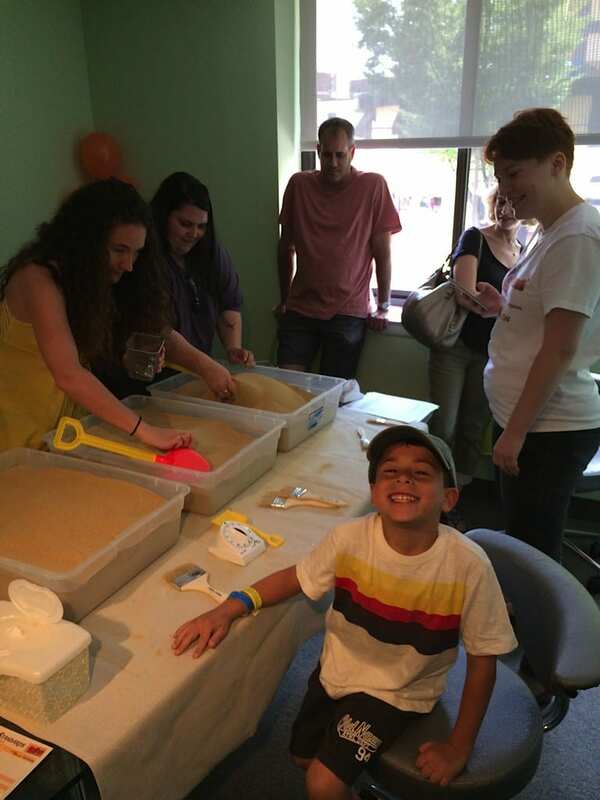 Learning about archeology can be fun for kids of all ages. If you’re looking for ways to get the whole family involved, try these three ideas to build in summer learning fun. Who doesn’t like to eat cake? 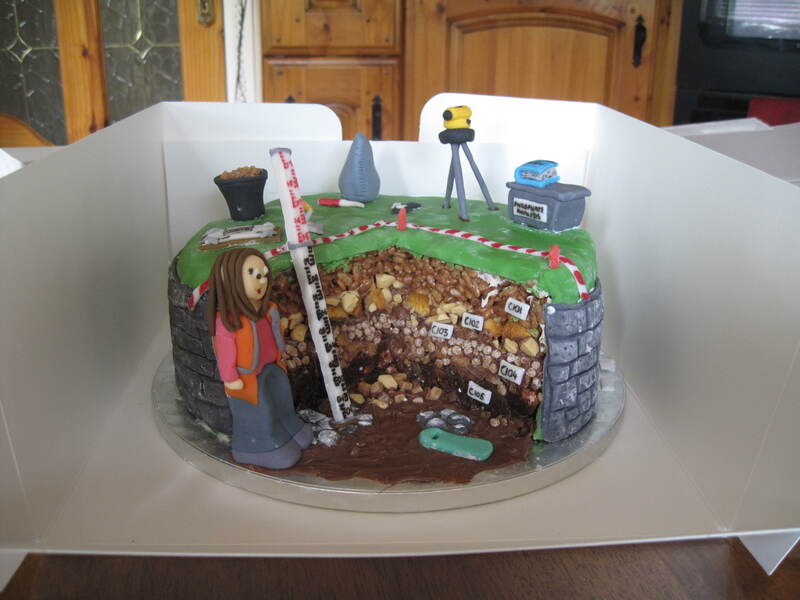 Digging (and eating) the layers of a cake is a fun and easy way for kids to learn the basics of archaeological excavation. Tie in a baking session to create three layers of a cake, then secretly hide small toys into each of the baked layers. Stack the layers on top of each other and place the cake on a large table with a plastic tablecloth. Digging can get messy. Kids will be able to record finds, preserve artifacts in baggies, and snack on something delicious. When archeologists first begin excavating a site, the layers of dirt are not visible to them. This project mimics the “blind dig” the archeologists face. Have each person in your family create a shoebox excavation site, layering dirt and soil on top of carefully placed artifacts like shells or coins—remember, the newest materials should be placed towards the top layer of the soil! They should take notes on the different artifacts they have buried and where they are located. When each excavation site is finished, have them trade and unearth the unknown artifacts, layer by layer. Keep track of what has been found! Create a home-based project for your kids through a yard dig. While preparation may be time-consuming, having your children participate in a project that is closest to a real-life dig will let them see how an archeologist works. An excavation site of 5 ft x 2 ft will allow older children to section off areas for digging, conduct field work, and record notes of their finds. Materials buried can include charred wood, rocks or stones, scraps of fabric, larger shells or broken pottery. Your children can piece together the story of an imaginary culture through this larger yard dig. Summer travel season is upon us. If you’re planning a family vacation, consider these locations to take your mini archeologists to explore. But first, visit the National Park Service’s archeology website for kids to help them learn what archeologists do and how they do it. Get your kids excited to head to the American Museum of Natural History by visiting their website created just for kids. Use evidence and clues to determine where artifacts were found at an Incan archeological site. Test their archeology knowledge with a quick quiz. Listen to interviews with archeologists. Explore the ancient city of Petra. Then make your way to the museum to discover artifacts in person. The Penn Museum of Archeology and Anthropology offers exhibits to give your children insight into the how artifacts make it from a dig site to a glass-encased museum. Check out their “Artifact Lab” on conserving Egyptian mummies. Kids have the opportunity to see how conservators protect, restore and preserve artifacts found by archeologists in the field, including Egyptian artifacts like mummies. Conservators are even available to answer questions from curious visitors. For the summer, they are offering tickets at a reduced price for $10.00 each for all adults and children. Located in northeast Arkansas, this museum exhibits a nationally renowned collection from the Nodena site, a 15-acre village that once thrived on a bend of the Mississippi River. Hampson Archeological Museum interprets the lifestyles of a farming-based civilization that lived there from A.D. 1400 to 1650. Artifacts and exhibits share the story of this early aboriginal population of farmers who cultivated crops and supplemented their food resources with hunting native game while developing its art, religion and political structure along with a thriving trading network. Guided tours are available and admission is free. The Maryland Science Center features family-friendly science exploration, including their “Dinosaur Mysteries” exhibit. 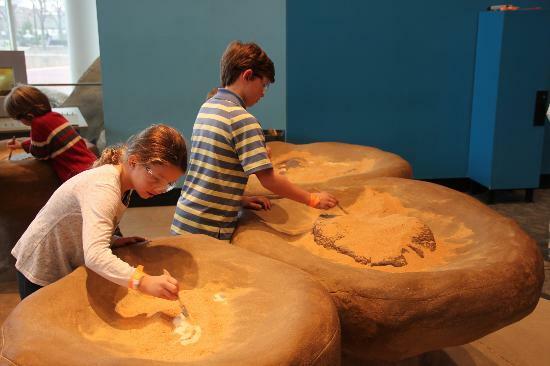 This permanent exhibit contains a working field lab and dig pits, allowing kids to handle the tools archeologists and paleontologists use to discover artifacts of ancient cultures or fossils. This museum is connected with the Harvard Museum of Natural History, so one ticket covers both museums. The Digging Veritas exhibit shows how students lived at Harvard in the colonial times through archeological excavations done on campus, which found evidence of the Harvard Indian College. Explore the importance of rivers in Native American culture with an exhibit on birchbark canoes. Encounters with the Americas offers artifacts from the native cultures of Latin America through Maya and Aztec civilizations. 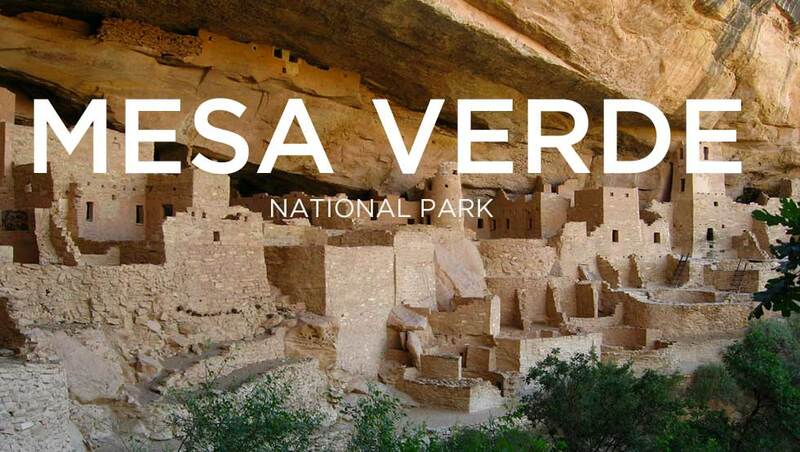 If you’re looking for a real archeological dig site, try Mesa Verde National Park in Colorado. Mesa Verde has over 4, 700 archeological sites with many more left to be discovered. An early civilization made this location their home for over 700 years and their history is still being explored. You’ll discover how ancestral Puebloans lived– and learn why they left this place. One of the most awe-inspiring sites is the dwellings that were built into the side of a cliff. These structures ranged in size from one-room storage units to villages of more than 150 rooms. No More Pencils, No More Books…But More Time for Gaming? Kids are breathing a sigh of relief as schools let out for the summer. This is their opportunity to sleep in, spend time with friends and family, schedule their days the way they want to—whether that’s attending a camp, exploring the outdoors, or catching up on favorite television shows; but some parents worry about their child’s “brain drain” over summer vacation. 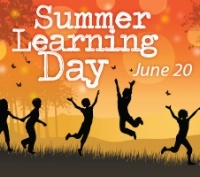 “Brain drain” or the “summer slide” is the learning loss that can occur over summer vacation, when kids are not always exposed to learning opportunities on a daily basis. It can cause them to fall behind where they ended the previous grade level, starting them off on the wrong foot for a new school year. Some parents try to combat this with educational camps that interest their children or through weekly library trips and summer book logs. However, there’s an easy way to keep kids learning when school is out—playing games. The Games and Learning Publishing Council recently surveyed 700 teachers. Of those 513 who use games in the classroom, 55 percent of those teachers use games at least once a week. Gaming is becoming a regular habit within the classroom, an engaging way to practice skills and learn. While the majority of teachers are still using computers for gaming purposes, tablets are making their way to becoming an alternative mode for students’ gaming. In fact, 67% of the teachers who are not currently using tablets plan to invest in them in the next one to two years. With that being said, if games are being used in classrooms to engage students, why shouldn’t they also be used at home? Summer is the perfect time for a child to become immersed in a long-term, educational game. Our award-winning Mayan Mysteries™ is a cross-curricular adventure that helps players brush up on math and reading comprehension skills while learning about the Maya through informational text. It’s aligned to the Common Core and National Council of Social Studies Standards, so it helps keep students on the right path for the next school year. If your child has 15 minutes of free time, have them practice math skills with Loot Pursuit: Pompeii™. They’ll think they’re on an adventure to save stolen artifacts from the ancient Roman city of Pompeii, trying to discover the notorious thief Ladrone; but you know your child is actually perfecting his algebraic ability or mastering solving for the area of a triangle. To support summer learning, Dig-It! Games is offering Loot Pursuit: Pompeii™ for just $0.99 on the iTunes store; it’s for a limited time only. Downloading Can U Dig It?™, Maya Numbers™, or Loot Pursuit: Tulum™ will give your child even more time to practice problem solving. In 79 A.D., the ancient Roman city of Pompeii was smothered by the suffocating volcanic ash of Mount Vesuvius. Until a few years ago, it was widely assumed that the people of Pompeii—coated in ash and frozen into lifelike poses—met their death by breathing in the ash that encased the city. Now recent studies have shown that the heat from the eruption of the still-active Mount Vesuvius caused people to be instantly shocked, buried by ash and dust, into the emotive poses we see today. Pompeii offers archeologists an opportunity to see what life may have been like for the people in this ancient Roman town. It also offers us the chance to understand what the people of Pompeii may have been feeling in their last moments. Scientists have been able to uncover parents cradling their children from the blast, adults clutching prized possessions. It is these scenes that have caused the general public to be so fascinated by the ruins of Pompeii. Pompeii similarly inspired filmmaker Paul W.S. Anderson to produce a film of the same name, released in February of this year. In an interview with Filmmaker Magazine, Anderson said, “The thing about Pompeii is you’re not free to do whatever you want. The interesting thing about Pompeii is that, of any archaeological site, it’s the best preserved because it was buried in the ash. In the Pompeii exhibits there’s a touring walk. You see loaves of bread that are kind of perfectly preserved. You see the bodies, you see how people lived, you see how they died. The frescoes and wall paintings in Pompeii are amazing and a lot of our production design was based on exactly that.” In the film, Anderson felt he had a responsibility to portray the city of Pompeii, the disaster and tragedy that struck the city, as accurately as possible. Our newest app reflects Dig-It! Games™ dedication to providing accurate, engaging games to children that encourage them to explore cultures and develop a love of learning. Loot Pursuit: Pompeii™ sets out to turn math drills into an interactive adventure, in which students recover stolen artifacts hidden in locked boxes around the archeological site. Players must solve challenging math problems aligned to the Common Core for 6th and 7th grade standards, including algebra, ratios and proportions, fractions, integers, and geometry, to unlock the boxes and discover ancient Roman culture. There are more than 75 artifacts hidden throughout 5 various archeological sites within Pompeii. The story-based game follows Team Q—the mystery-solving crew from the award-winning Mayan Mysteries™—as they chase a notorious thief. • Beautiful graphics and original music that transport players to Pompeii. Join the adventure and see the mystery of Pompeii for yourself. It’s the middle of Teacher Appreciation Week and we’d like to say thank you to all the teachers—like Mr. McComb—who continue to inspire students to become life-long learners through engaging lessons and showing how much you care. 1) Teachers do so much more behind-the-scenes. Students often do not realize how much work goes into creating the day that is planned out for them. They are unaware of the time teachers spend outside of that classroom. Books like My Teacher Sleeps in School remind us that students sometimes forget that their teacher has a life outside of the classroom. Teachers are at school before students arrive. They stay late for meetings, to grade, to plan, to make sure the next day goes smoothly. Teaching is not a 9-5 job; teachers deserve to be appreciated for all the extra work that goes into creating the world a student lives in for five days a week. 2) Teachers care about educating the whole child. Teachers show up at baseball games or birthday parties or church choir performances. When a first-grader loses her first tooth, the teacher carefully wraps up the tooth to go home—this principal even wrote a note to the Tooth Fairy when one of his students misplaced her lost tooth; when an eighth-grader feels overwhelmed by equations, his teacher will stay after school to help him understand; and when a senior gets the acceptance letter for her first choice college, her teachers celebrate this victory, too. At Dig-It! 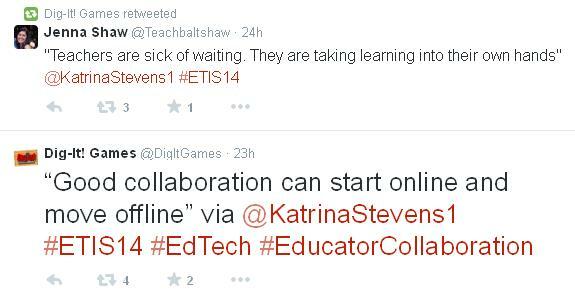 Games™, we know teaching isn’t just about the curriculum—it’s about the students that are in the classroom. 3) Teachers are the ones who make school fun. Teachers are the difference between students who love learning and students who do not. By providing students with opportunities to blend fun and learning seamlessly, teachers encourage growth and engagement in the classroom. Science experiments, field trips, hands-on learning, brain breaks, gaming—all of these are part of creating an energetic classroom environment and culture. Dig-It! Games™ is proud to offer games like Mayan Mysteries™ and Loot Pursuit: Tulum™ to teachers as a resource to keep inspiring kids to love what they learn. 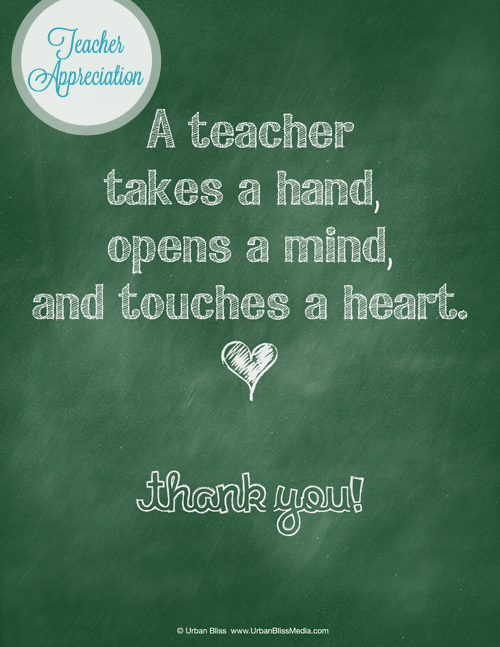 There shouldn’t just be one day to #thankateacher; show teachers how much you appreciate what they do every day.